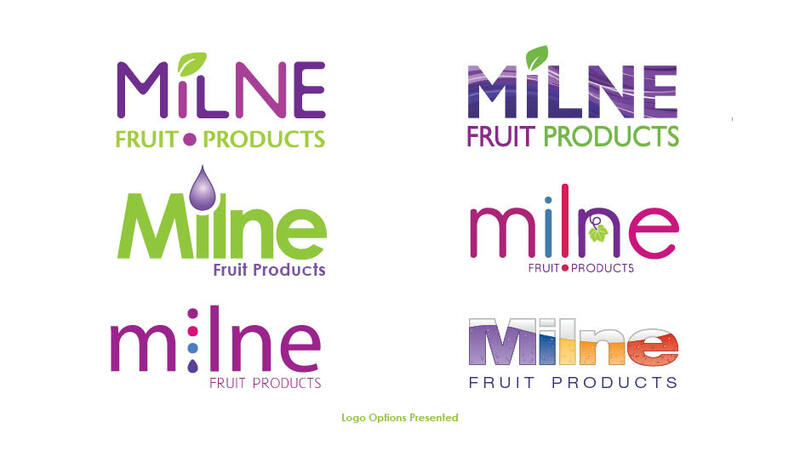 Milne Fruit Products, a producer of high quality fruit juices and purees to the food and beverage markets since 1956, recognized that it had an outdated look and feel. While known for outstanding customer service, the company was falling behind in communicating with customers, prospects, brokers and employees. The company website needed an upgrade as its infrastructure functioned poorly in today’s cross-platform environments. 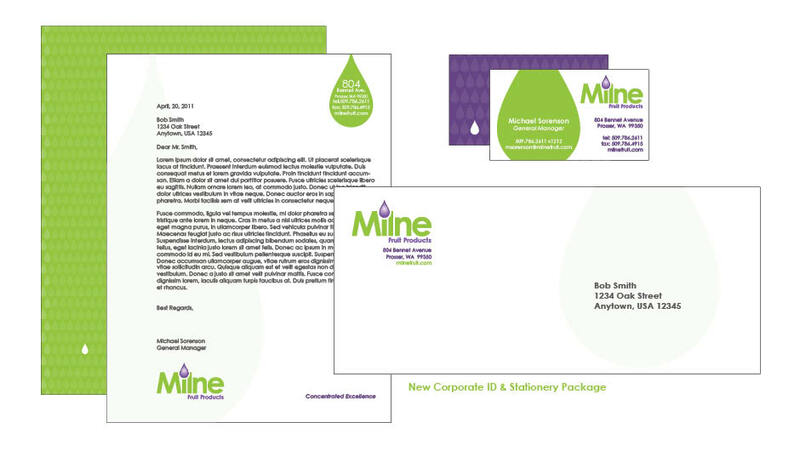 Brand Strategy & Logo - O’Neill Communications developed a new modern company logo that more effectively communicated Milne’s capabilities and also replaced an outdated logo. The new logo offered a clean, fresh and modern look and is professional and colorful but not trendy. 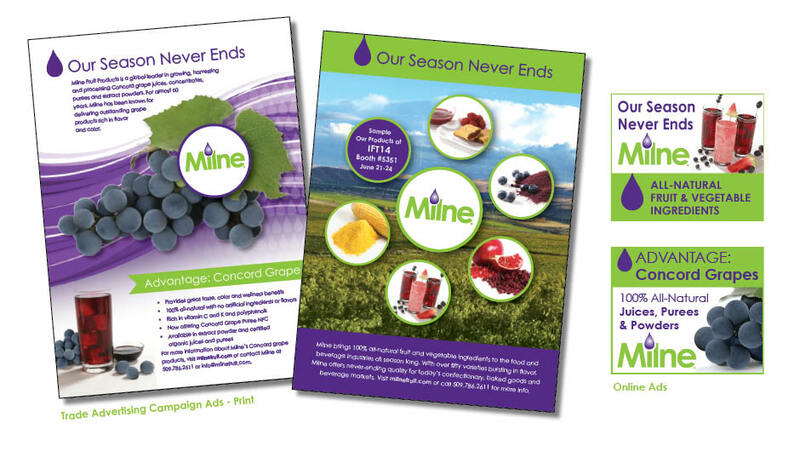 To assure consistent, strategic communications with clearly segmented and well-defined internal and external target markets, particularly in the beverage and industrial ingredient markets, O’Neill Communications completely overhauled Milne’s communications infrastructure. Databases and mailing lists were updated, and a bi-monthly opt-in e-newsletter was created and launched. The newsletter delivers company and industry news to customers and brokers and also has an employee version to ensure strong internal communications. 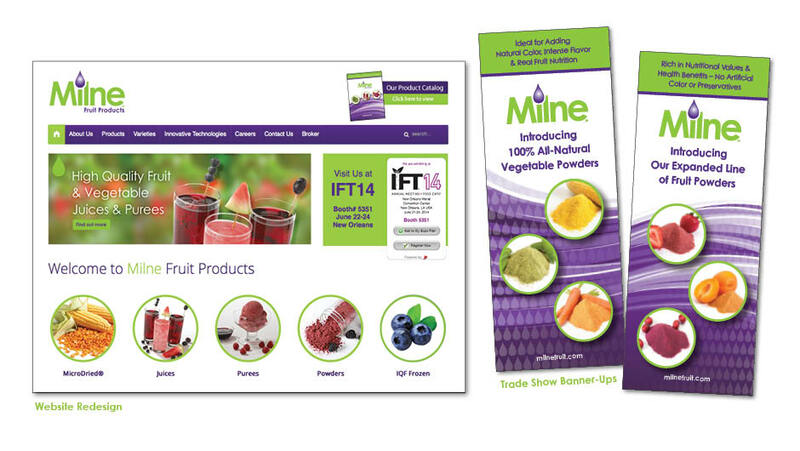 In 2012, Milne expanded into several new markets including dried fruits and vegetables, powders and frozen fruits. O’Neill determined it was time to build a more product focused website that more effectively used video and offered a secure area for brokers to find sales information. 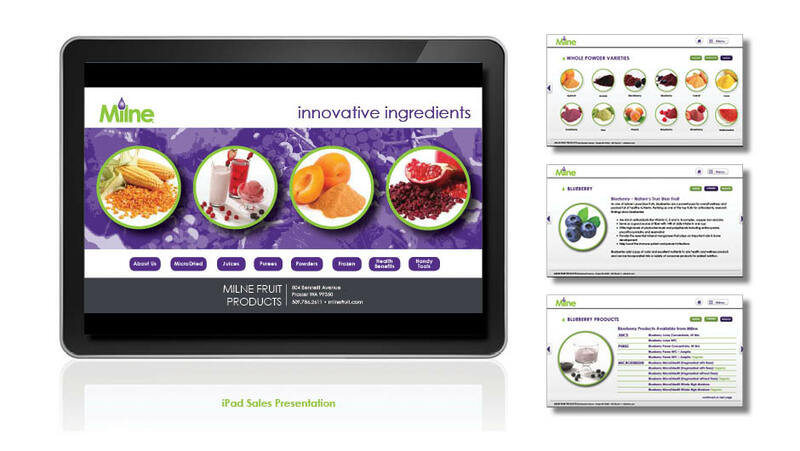 O’Neill also developed and maintains Milne’s iPad sales presentation that is used by the company’s brokers and sales staff. O’Neill Communications rebuilt the Milne website from the ground up, using the latest infrastructure and search engine optimization features and adding fresh graphics, engaging copy, interactive features and cross-platform functionality. New photography that showcases product lines in various applications along with a magazine-style product catalog are among the most prominent features of the new website. 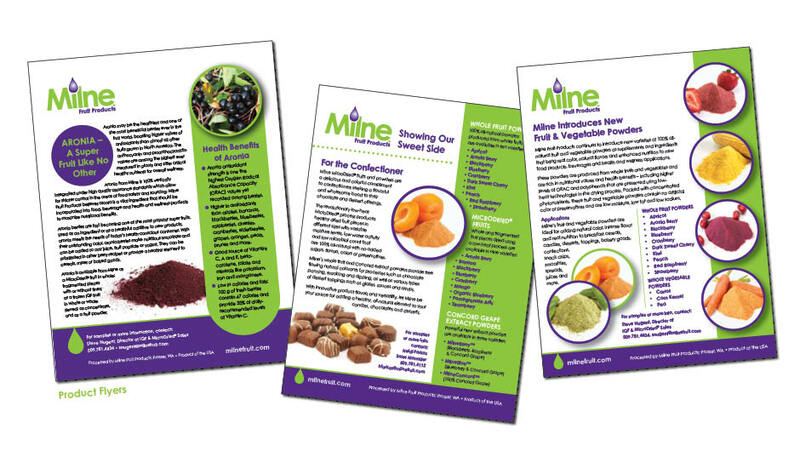 The marketing firm also helps with the company’s expansion by helping brand and produce effective collateral to extend the outreach of Milne Fruit Products’ growing product lines. A national sales campaign was developed to promote their products in trade magazines, both in print and online. 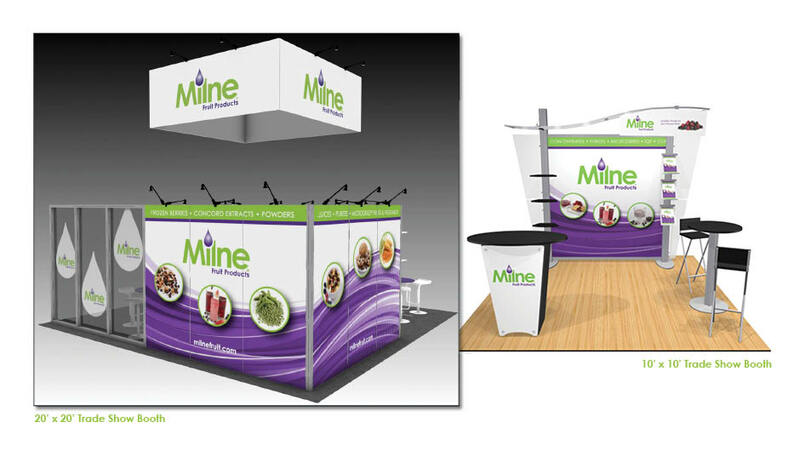 O’Neill Communications also upgraded Milne’s trade show booths, incorporating the new brand messaging and logo, and again used e-newsletters and email invitations to promote the event to Milne’s brokers and customers at local, national and international trade shows. 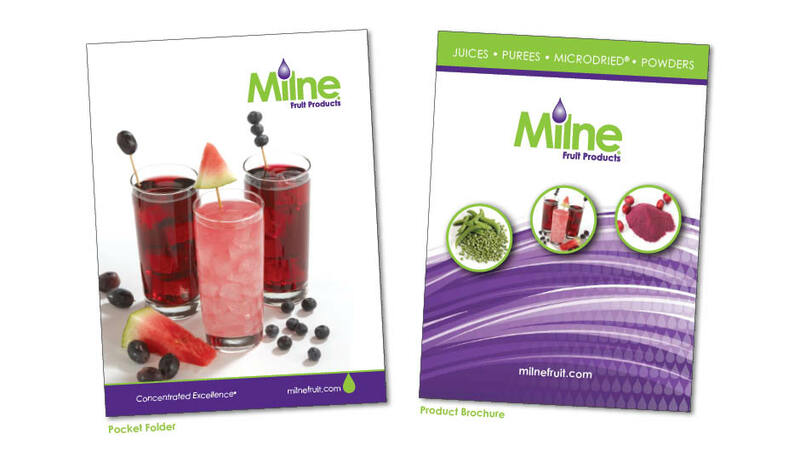 The firm also assists with Milne’s trade show presentations by conceptualizing and designing trade show posters, banners and other printed collateral. Milne’s corporate and sales leaders have indicated they are well pleased with the new brand and website, and say brokers and customers are also enjoying the new look and improved functionality of the website. In its continuing partnership with O’Neill, the firm is responsible for the company’s website maintenance and content updates through graphics, written copy, photography and videography. O’Neill also writes and designs their advertising campaigns which they have been renewing yearly. 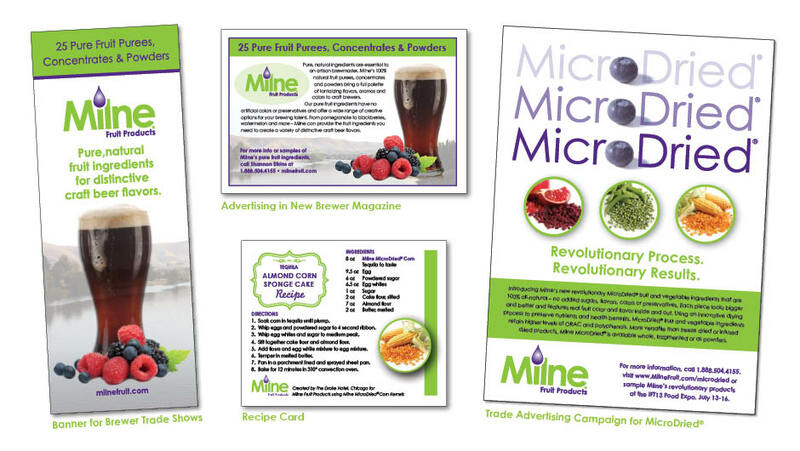 These campaigns have increased Milne’s awareness as an innovator in the ingredient market as they continue to expand their products into new markets.